Chipotle, PizzaRev, Smashburger, Pick Up Stix and Yogurtland all will soon be opening at the Camarillo Premium Outlets, in the parking area of the west end of the Outlets, at 660 E. Ventura Boulevard. 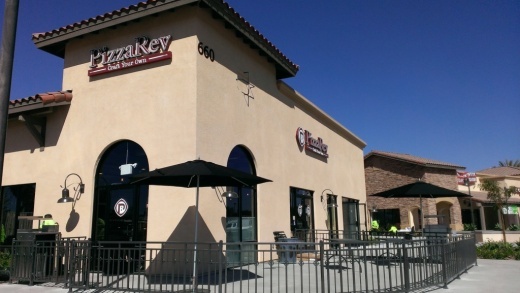 Employees on site indicated PizzaRev will be opening a week from today, on Wednesday, November 5th. A Chipotle employee indicated Chipotle is anticipated to open on Thursday, November 13th. These of course are subject to change. Smashburger opened on Nov 26th. Pick Up Stix opened in late November. Yogurtland opening TBA.